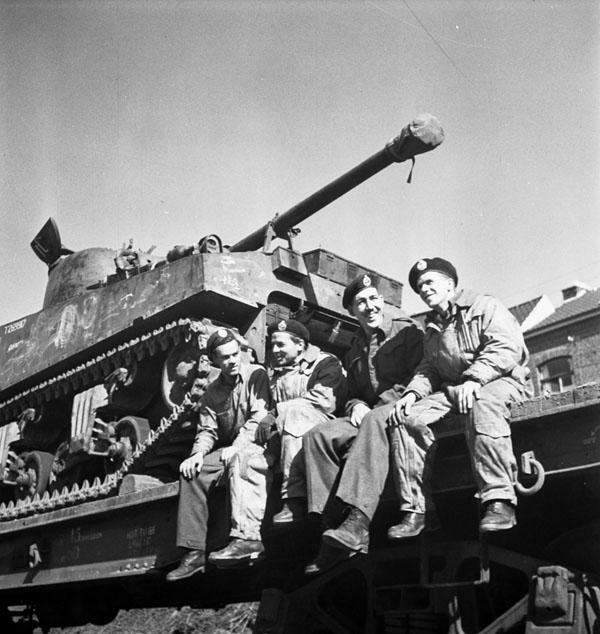 Troopers with a Sherman tank of the Ontario Regiment on a railway flatcar en route from Italy to Northwest Europe, Mouscron, Belgium, March 24th 1945. (Left To Right): Troopers E.D. Gyles, J.R. Simmons, A.J. Cartner, Harry Clark.